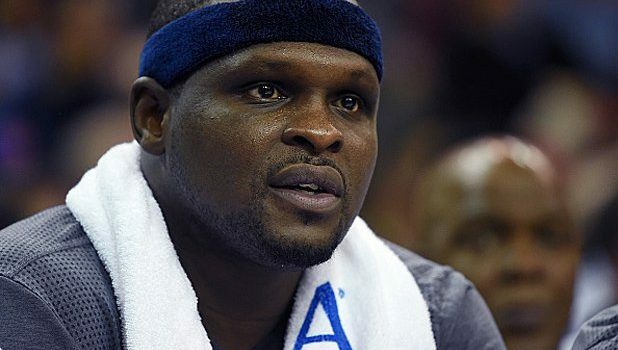 It appears the strange kingpin style arrest of Zach Randolph for marijuana possession has formally turned into actual charges. Per TMZ Sports, the Sacramento Kings forward has been charged with two misdemeanors after his August 9 arrest in the Watts section of L.A., in which a riot broke out as well. Randolph was initially arrested for felony possession of marijuana with intent to sell, a charge based on the large quantity of weed cops say he had at the time. But now, prosecutors have reduced the charges down to misdemeanor possession of more than 1 ounce of marijuana and misdemeanor resisting arrest. Randolph faces up to one year in jail if convicted, but won’t likely see any jail time after having the charges reduced and this being his first arrest.